PPC is an effective online advertising tool that potentially brings your targeted customers to you from the very first day. 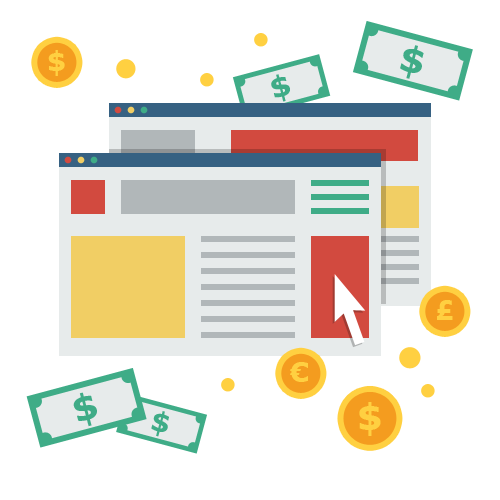 Those who utilize PPC advertising only have to pay when their advertisement gets clicked. PPC advertisements can be placed anywhere: social media, websites, advertising networks, and search engines. Your PPC campaign will only be effective when carried out with the right approach. We work with Pay Per Click management services that are ROI driven and beneficial uniquely to your business. Sometimes the right move for a business is to strictly work with PPC marketing but often times the addition of SEO and PPC is what is needed for the success of your business. A successful campaign always has a well-framed plan behind it. Especially for a PPC campaign, it is essential to do thorough research and analysis before executing the project. We first carry out extensive research based on your industry which helps us to create the structure of our unique marketing approach. Understanding your business. Our work will be focused not only on driving customers to your website but driving unique customers who are on the verge of procuring a product. We will have an extensive consultation with you to understand your company which will help us develop the perfect PPC plan. Landing pages that convert. It is essential to take your “clickers” to a powerfully converting landing page. With a strong landing page with call to action features the clicker will be more inclined to convert which will ultimately increase your ROI making PPC advertising worth while. Ads that are engaging. One of the most important aspects of a successful PPC campaign is the quality of the ads written. We test a multitude of ads to see which ones are the most clicked on. More importantly, we see which ads customers are converting on and making transactions. Even after its launch we aren’t done with our project. Our motive is to constantly expand the efficiency of your PPC campaign. We continuously optimize the campaign to make sure we are achieving the best results possible. Solid testing of ads. From the variety of resources we have, we are very particular in choosing links from the most reputable and popular sites. We search different authoritative resources to include only the best. Reacting to user trends. The trends and behavior of your users can help us determine what changes need to be made to increase your ROI from the campaign. 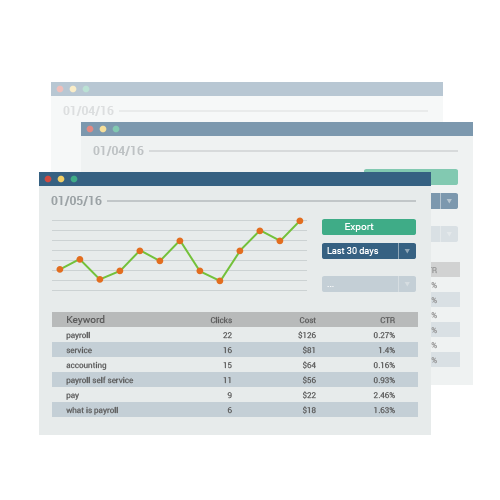 ROI goals with keyword performance. The idea is to create a high return on investment based on high performing keywords that will drive maximum traffic for the best budget. Our eyes are always on the keywords’ performances to make any necessary changes. We keep a constant track of our work not only to help us improve the project but it keeps you, the client, happy to know every metric possible about your PPC campaign. Track your money flow. We take pride in the transparency of letting our clients know how much of their budget is being utilized. We will keep you informed about how your money is being spent and what your business is actually getting from this important investment. Conversion data. 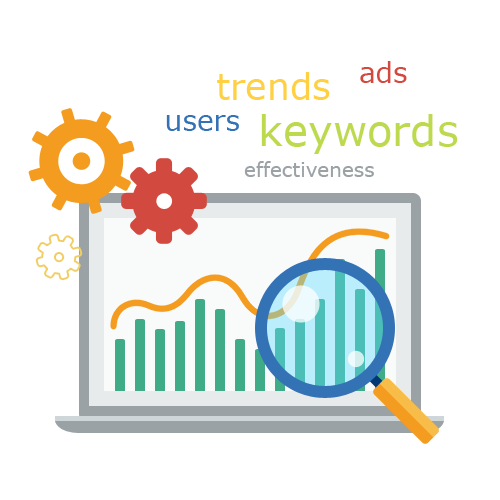 Through our accurate reports on Pay Per Click Advertising, we help you make proper decisions about current and future investments to further increase the growth of your business. Data at your fingertips. You will be provided an online dashboard where you will have instant access to every possible metric about your PPC advertising campaign.